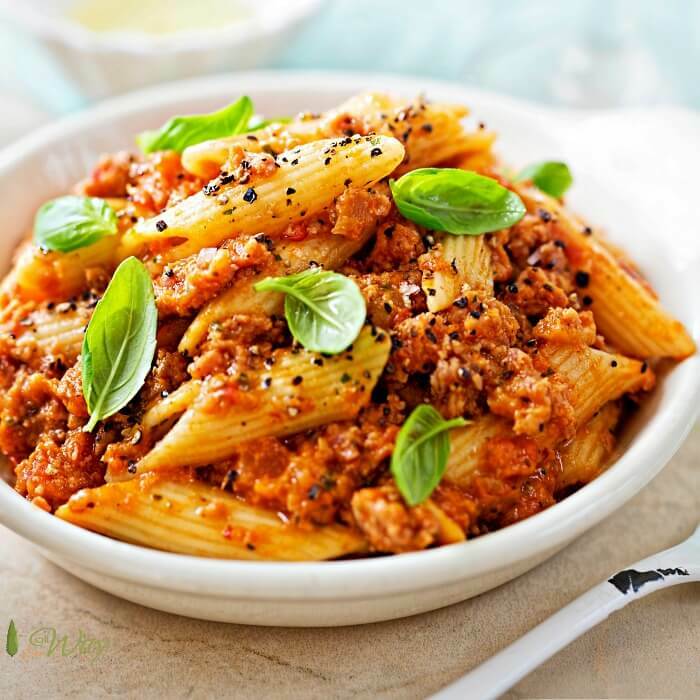 For this recipe, you will need hot Italian pork sausage, onion, Diced tomatoes with basil, garlic, and tomatoes, tomato sauce, penne pasta, water, Parmesan cheese. This is a simple dish that relies solely on the quality of the ingredients. The most important ingredient is the sausage. Did you think I was going to say pasta? Well, a good quality penne pasta is second in importance. It’s the hot Italian pork sausage that gives this easy recipe its amazing taste. Can you substitute with another type of meat? You could, but then you wouldn’t have Italian sausage pasta or the fabulous seasoning that comes with that meat. If you or your family don’t like spicy food you could get a milder Italian sausage and it would still be good. We bought our sausage in bulk — you could buy the links and remove the casing. We used imported Italian penne pasta for this recipe. What wheat the pasta maker uses makes a big difference. At your favorite grocery store, look at the ingredients that are printed on the pasta boxes. The pasta we used had only two ingredients — organic durum wheat semolina and water. The water that the pasta maker uses is also important. Our brand takes pure mountain spring water that produces a fine dough. You don’t want any “off” tastes coming from the water. Another old world practice that the artisan pasta makers use is to extrude the dough through bronze dies to create a rough texture. cooks to al dente every time. Here’s a good place to learn a little bit more about the history of pasta. If you start with quality seasoned canned tomatoes and a good brand tomato sauce you’re recipe will be a success. The ingredients already have salt in them so we didn’t find it necessary to add any more. We did add a pinch of hot pepper flakes just because. 🌶😉 The pasta really didn’t need it, we just like it spicy. Once the pasta absorbs all of the liquid and it turns into a yummy sauce, the one-pot dinner is done. Sprinkle 1/4 cup of Parmesan cheese over the penne pasta recipe and stir in. You can make it ahead of time — the dish tastes great reheated. I made this recipe early in the afternoon and I reheated it later that evening. It tasted just as good as when I first made it. Nope, not just as, it was even better. We hope you make this recipe. We can guarantee that it’ll become a favorite. Just keep the simple ingredients in your pantry, well not the sausage, but the rest and you’ll always be able to whip up a delicious dish at a moments notice. These recipes are easy to make and perfect weeknight dishes! Un caro saluto, e alla prossima. Thank you for being a part of All Our Way. Every now and then you come across a recipe that is not only easy but also tastes like you spent hours preparing it. Common ingredients will give you a one-skillet penne pasta dinner that will be a family favorite. You can make this ahead of time. Just warm it in the oven and serve. Just add a salad and some fresh bread to the meal and you have an incredible dinner with little effort. An easy one-skillet penne pasta dish that comes together in less than 20 minutes. Spicy sausage flavors the tasty tomato sauce and penne pasta. A quick and easy dish that can be prepared ahead of time and then warmed before serving. Heat a large skillet over medium-high heat. Add broken sausage and minced onion; cook about 5 minutes. With a wooden spoon keep the sausage in pieces. Drain and return to skillet. Add the undrained tomatoes, sauce, water, red pepper flakes, and penne pasta to the pan. Stir to combine and bring the liquid to a boil. Cover the pan and reduce the heat. Cook for 15 minutes or until pasta is tender. Sprinkle with Parmesan cheese. Serve with more parmesan cheese, if desired. 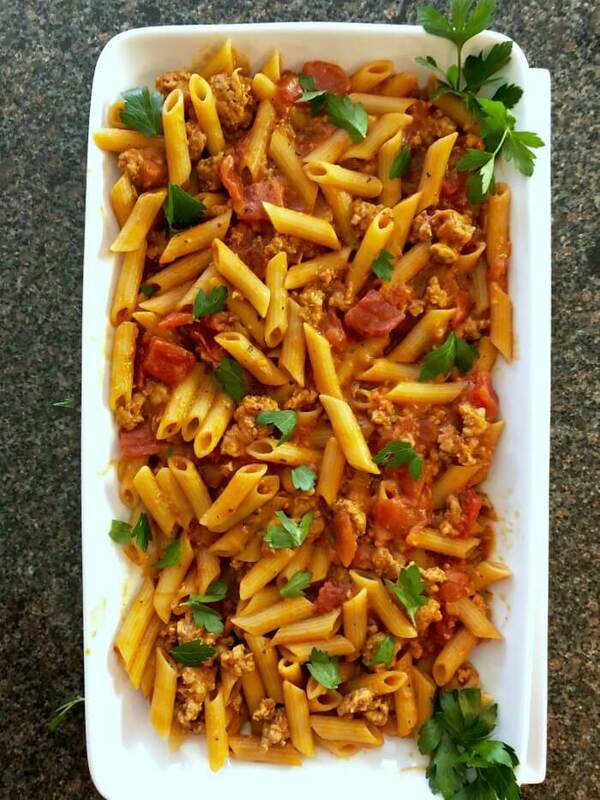 IF YOU LIKED THIS ONE-PAN ITALIAN SAUSAGE PASTA, YOU MAY LIKE . . .
We are staying in a suites hotel for eight weeks while my husband undergoes radiation therapy. I love to cook and he is gluten and lactose intolerant so I am always looking for a new one pot dish. I came armed with my Instant Pot (actually two of them!) so I am ready to make meals that are healthy and meet hubby’s diet restrictions. Thank you so much for this. I just make it without the Parmesan and add cheese to my portion. That sounds like a wonderful idea, Sharon. Saying a prayer for you and your Hubby!! Oh wow I have never thought about all of the pieces that go into an artisan pasta! The water and the bronze, oh my gosh. I need to get some but I’m also worried it’ll change my life forever so that I wont be able to eat anything else. What an incredible looking dish! One-pot dinners are everything in my house on a busy night! I love the hearty pasta and sausage- my boys would love this meal! So easy and easy cleanup! I modified with rice instead of pasta and it was also a crowd pleaser! Hi, Kelly!! I’m so glad to hear that. Thank you for letting us know about the rice. Have a Happy Thanksgiving. We all need quick and delicious meals for busy weeknights. I can eat pasta every day. Sasauge and pasta are the perfect match here. I know hubby would love this, and the leftovers would be great for lunches too. 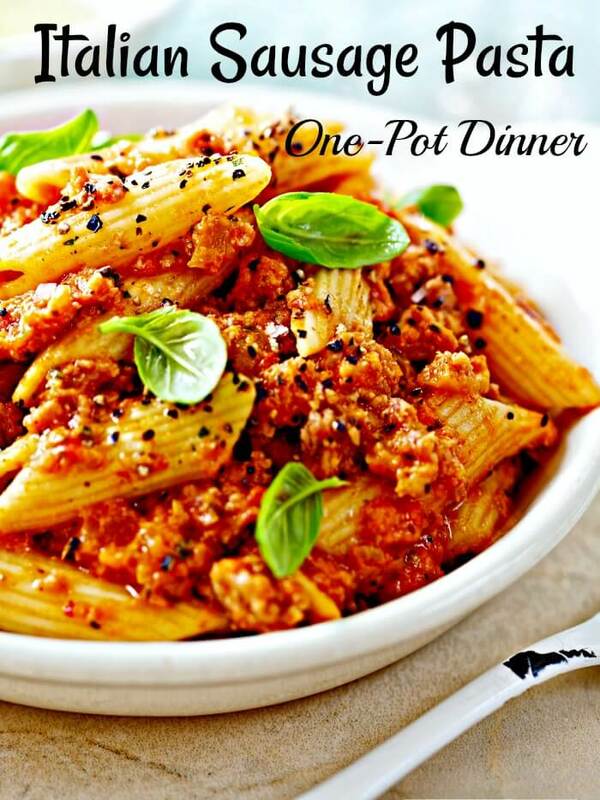 I love one pot dinners, especially when pasta and sausage are involved! 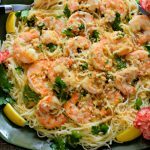 This looks and sounds positively mouth-watering – and I love that it can be made ahead and reheated! I also am jealous that you can buy your Italian sausage in bulk – I will have to look for a source for that, because it would be so wonderful to always have it on hand! What a delicious combination of flavors! I know this will be a big hit with my family! Looks really delicious and I bet you could freeze it well too, or make it in advance. Love the fresh basil garnish! Gorgeous pasta!! I love all that black pepper and basil on top 🙂 This is basically what I crave every single night of the week! Thank you, Sues! We do love our pasta and then zing it up with hot sausage — YUM! What a delicious sounding pasta dish… and we all need more quick and easy meals like this for busy weeknights! Thank you! You’re welcome, Meredith! I love sharing recipes. This looks delicious! I love that it’s a one-pot recipe – so great for weeknight meals! Thank you, Kathryn! Not only do adults love the taste, but the little ones too. Well hello, one pot perfection! This is my favorite kind of dinner – simple, flavorful, and easy to clean up. I just picked up some chicken sausage at Trader Joe’s that I think would go great in this! Hello, Jordan! You go for it!! I bet Giotto’s sausage will be fantastic. You are so right, the better quality the ingredients the better the dish. I think this is especially true for tinned tomatoes and pasta. It really is worth paying that bit more if you can. This looks like such a rich and tasty dish, perfect for a great weeknight dinner. You are so right about using top quality ingredients when it comes to simple Italian recipes like this beautiful pasta you made. 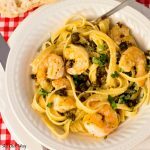 Makes a wonderful weeknight dinner! Wow! Not only is this recipe absolutely delicious sounding, but this post is so informative! Now I’m hungry for your pasta — and it’s only 8 a.m. here! As always, a delicious meal you’ve prepared. What a beautiful hearty pasta dish! I love penne. My family probably eats pasta once a week. So good! I love the red pepper flakes addition. Dear Marisa, This looks absolutely delicious…I love meals like this. I know my family would absolutely love this! 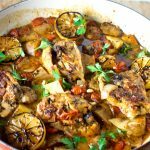 These are perfect dinner meal for busy week nights, best part is that it is loaded with flavor and also we can make it in one pot. That looks yumm! Perfect for those busy nights or on a relaxing weekend, love that 20 Minutes tag!!! You are so right, Priya! It was so good we’re planning on making it again very soon. Pasta in 20 minutes and one pot got me interested! Love this for a weeknight dinner. I am always rushed for time for the dinner and these are a lifesaver. Absolutely, Sandhya!Quick and easy clean-up is fantastic. Thank you for an idea for today’s dinner. I have all of the ingredients in the house! Well, all except for the fresh cheese but will get that as well. Thank you. 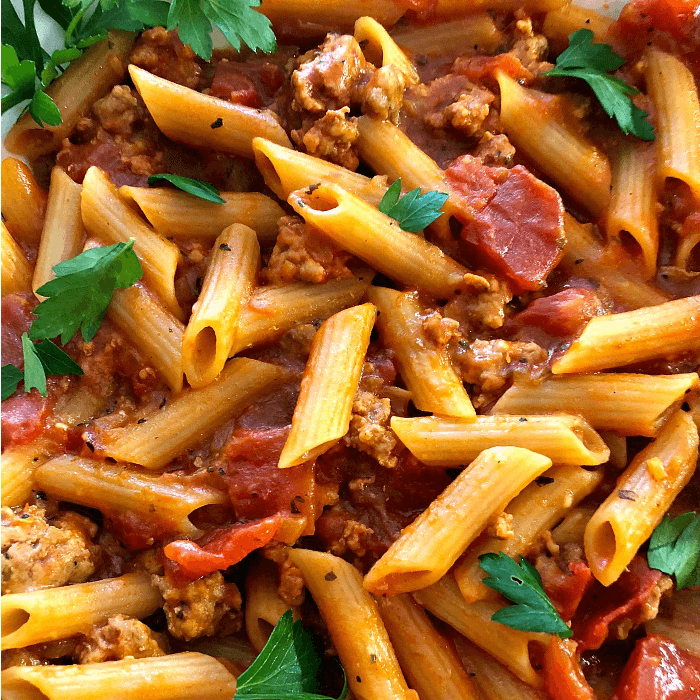 I love pairing sausage and pasta….and spicy sausage for sure in this house. This is a great dinner, and I would be happy serving this to guests too. Bring on the wine…party on!! I love Italian sausage so I know this will taste awesome. Love how simple and easy this is to make. I’m going to try this soon when I get my hands on some Italian sausages. yum! Oh, wow.. you had me at 20 mins. This is my kinda meal on busy days when I’m busy with a cake and still have to make lunch before kids get home from school. Love how easy this is Marisa. I was sold at ’20 minutes’ but then add in the fact that it’s all in one pot and I’m hooked! Hi, Lauren! I’m with you. Love speedy. Love this spicy, hearty and comforting pasta dish. Making it in one pot makes it so much more easy and convenient. Made this after I watched your facebook video. It was equally easy and delicious. My son finished it up the next day, and said it was even better after it sat overnight!! He loved the flavor. Thanks for this fantastic post, Marisa! Love Italian sausage mixed with everything. Your recipe looks delicious and the photo is a beauty.